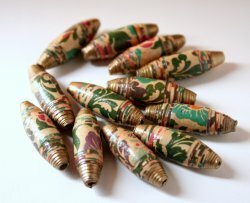 Beautiful paisley print hand rolled paper beads. These paper beads are made from recycled magazines and catalogs. Each bead is unique.